Eric Bennewitz ist Yogalehrer, Gründer von Peace Out Yoga und frischgebackener Papa eines kleinen Buddha Boys! Als Experte für Yoga Nidra, eine Art Tiefenentspannung im Liegen, erklärt der gebürtige Kanadier dir in diesem Gastbeitrag in seiner Muttersprache Englisch, warum Yoga Nidra der ideale Begleiter durch die Schwangerschaft ist, und wie du mit Babykugel am besten von dieser Technik profitieren kannst. Over the past nine months, I have lived through a new experience called 'baby preparations' with my wife, Eva. This journey's taken me to new places like the baby clinic, ultrasounds and baby hospitals and I can tell you this … the baby population is booming around here! With many expecting moms, the nurturing nature eventually takes over and that means adjustments have to be made to an expecting mom's lifestlye. A diet of less stress and more rest is now at the top of the day's priorities. So what is true rest in today's society? How can expecting moms truly de-stress physically, emotionally and mentally during pregnancy and become more in-tune with themselves as a bonus on the pregnancy journey? To begin, true rest or relaxation doesn't include a steady diet of TV, internet surfing and smartphone chats. These are merely sensory distractions from truly and deeply relaxing. Regular sleep? Necessary, but not true deep relaxation because it doesn't resolve deep seeded tensions. True relaxation lies in a yoga practice that originated from Tantra yoga a few thousand years ago and is today known as yoga nidra as created by Swami Satyananda Saraswati. In a nutshell, yoga nidra is a guided meditation that takes you from your gross to your subtle layers of being using body and breath awareness techniques and guided imagery and journeys that lead you through your whole being called 'koshas' in yoga language. The essence of yoga nidra is healing and transformation. 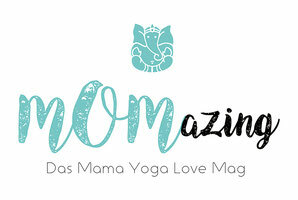 Over the past few decades, numerous scientific studies have validated that this simple practice has the power to not only deeply relax expecting moms, but to reduce unwanted habits, welcome experiences as they are and connect more deeply with yourself and the new life growing inside of you. All that's required is to lie down and listen. The nice thing about this is expecting moms can practice yoga nidra anytime of the day when they have time. The more regularly you practice yoga nidra, the deeper the connection to yourself and the more benefits you realize. Yoga nidra is an effective compliment to any expecting mom's existing medical care because when tensions are truly relaxed, the body's own self-healing function can flow more freely. During pregnancy new anxieties may arise, lack of quality sleep may exist or blood pressure levels may increase. A consistent yoga nidra practice can aid in reducing these symptoms as well as reduce headaches, nervousness and irrational thoughts. A sometimes overstimulated nervous system of an expecting mom learns to relax, release physical and emotional tensions and re-balance. Once tensions are released, it becomes easier to connect with the essence of yoga nidra and that is 'healing and transformation.' How can someone heal and transform when they are filled with stress? Yoga nidra is a powerful tool of transformation. When a pregnant mother is under stress, it can effect her behavior and decision-making, but when she's truly relaxed, her behaviour becomes natural and her decision-making clear. It's coming from a place of clear truth within herself and this is why yoga nidra is a powerful tool of transformation. For pregnant moms, this means reduced levels of stress hormones in the body, which can reduce toxin levels to the fetus. As a welcomed bonus, yoga nidra can reduce anxiety and labour pains associated with the actual baby birth. During the practice, your brainwaves are guided into deep conscious sleep and then returned to a wakeful state leaving you clear, fresh and rejuvinated. Some yoga nidra experts suggest that 30-minutes of yoga nidra is equal to 3 hours of regular sleep. That doesn't mean you should substitute sleep with yoga nidra, but instead use it to compliment your regular sleep. Without effort, yoga nidra opens the doors to your deeper levels of 'being' enabling you to feel more connected to yourself as a 'Whole.' Everday concerns and limiting beliefs that occupy your daily thoughts and may be preventing you from having a positive birth experience begin to dissolve leading you to more freedom and peace in both body and mind. For instance, the belief that every woman in your family had a difficult birth, so you will too. Yoga Nidra reprograms this belief into clarity. There is a stage of the yoga nidra practice called 'experiencing of opposite senses/emotions.' Its basically about shedding our dualistic thinking of things having to be one or another. This can be a great help to expecting moms because they learn to welcome and hold opposite emotions simultaneously instead of repressing or choosing. They come to accept things just as they are happening. For example, being afraid or not of child birth. This choosing is eliminated reducing inner tensions and mom is able to be at peace with both fear and trust during the birthing. These are just some of the many benefits of yoga nidra. The practice is really beneficial to anyone! Interested in de-stressing, relaxing deeply and connecting with your innermost self? 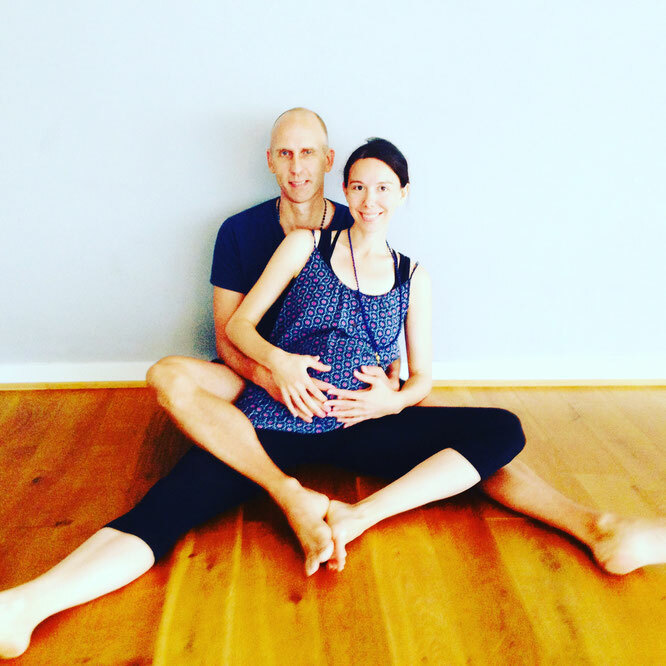 Then yoga nidra may very well be on your pregnancy list. Best wishes to all you expecting moms out there in the world. Eric is „frisch gebackener Papa“ and a certified yoga nidra guide who has been practicing and teaching yoga nidra for 8 years. 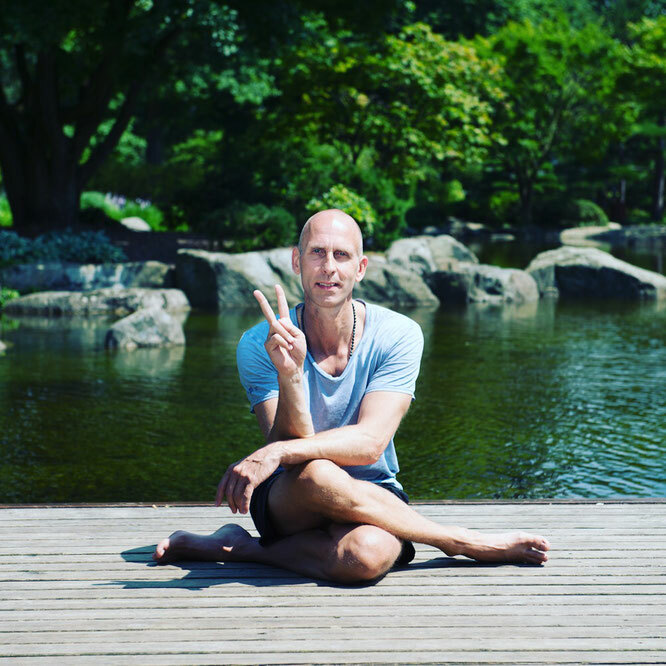 He is the founder and owner of Peace Out Yoga in Hamburg, Germany and leads yoga nidra practices, workshops and teacher trainings in Europe and Canada. 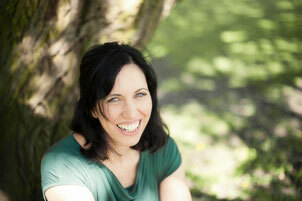 For more information about Eric and yoga nidra, visit www.peaceoutyoga.de. You can also sample a yoga nidra practice with Eric on the website or purchase his new yoga nidra collection as an MP3 download or USB here.